Writer, photographer, educator, explorer of places new, with a passion for adding fun back into life. Long ago in seventy-one (1871 that is), baby Alice arrived to proud parents John William Shippen Willes and Catherine Victoria Willes. This was a historic event, not only to her parents but for the whole community. Alice Sophie Willes was the first European baby to be born on the Islands of Moreton Bay. 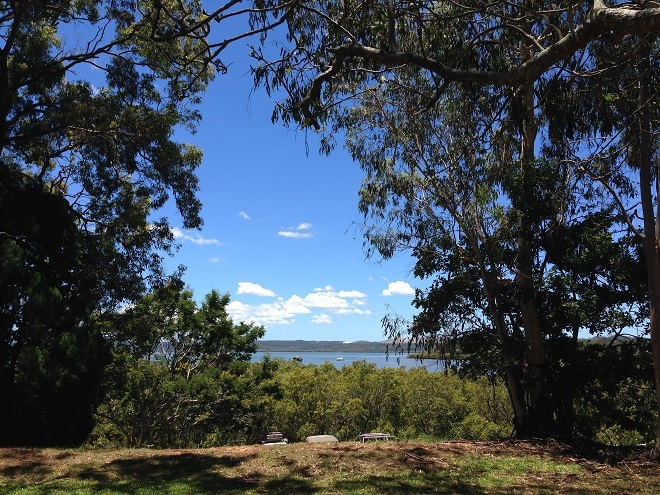 She is remembered for her love of nature and the scrumptious cakes she baked for dances at the local hall on Russell Island. The children on the Island affectionately called her Aunty Alice. 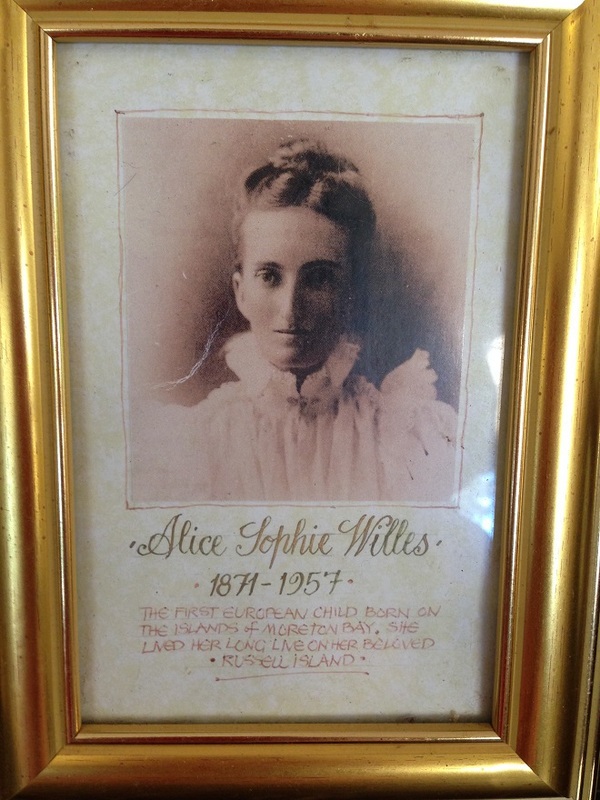 Aunty Alice's Café pays tribute to this notable woman and continues the tradition of her baking talent. The café stands on the site of her home of 45 years. 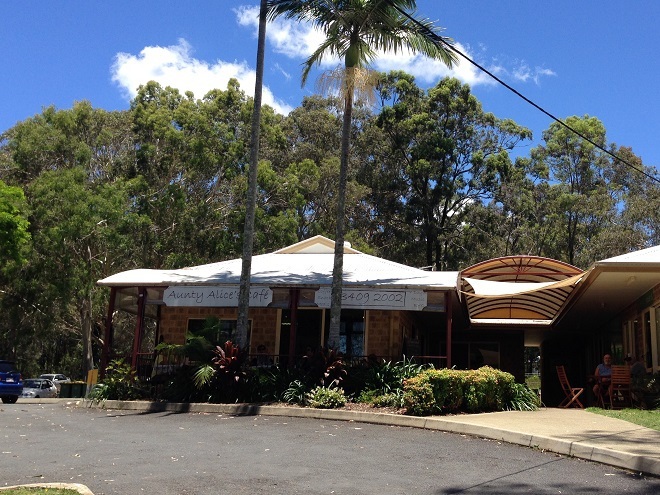 Aunty Alice's Café serves All Day Breakfast, with choices includeding muesli, pancakes and eggs in five different ways. Lunch options include burgers, steak, fish, nachos, salad, crepes and toasted sandwiches. We chose carrot cake from the glass display counter accompanied by the best iced chocolate and iced coffee. Our tall sundae glasses came with a stainless steel milkshake cup of refills. It was quite idyllic to absorb the cool peacefulness of the blue bay while sipping chilled drinks before venturing back into the searing sun for more exploring. If you stop by on a Sunday afternoon, you might encounter some great local entertainment. 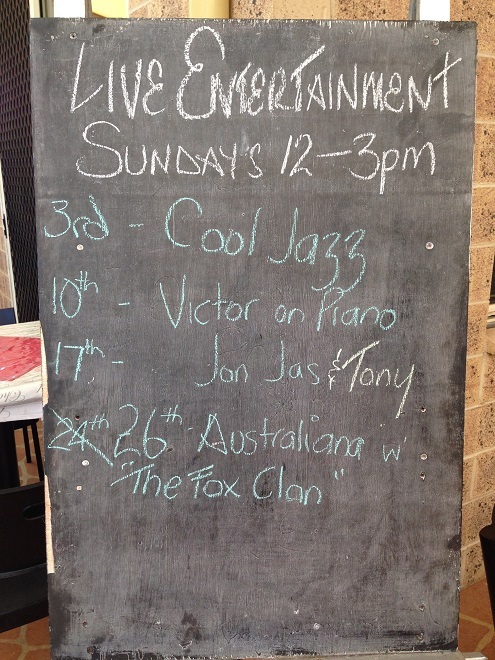 Australia Day will be celebrated with the Fox Family playing Aussie music featuring Murray on the didgeridoo. Smokers are catered for with outdoor seating under the trees. The café is dog-friendly and dogs are welcome on the verandah. 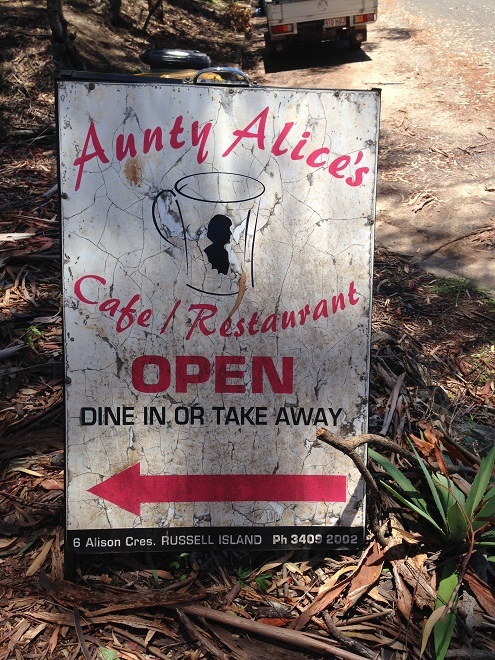 Aunty Alice's Café is in Alison Street on Russell Island; a short walk from the jetty. All photographs by JA Rossiter. Why? A great stop for a meal while enjoying views of the bay. 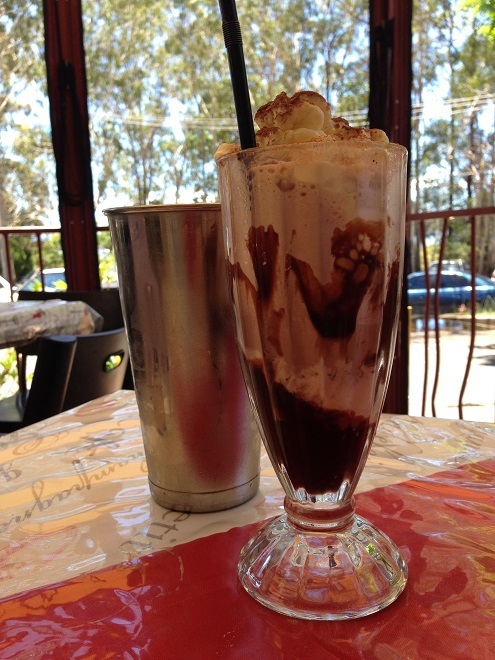 The sundae looks superb. Would be interesting to visit this historic cafe.